Feeding the planet sustainably is one of the world’s most pressing challenges. In his keynote speech at the Future of Food conference, HRH Prince Charles, The Prince of Wales, sounded the alarm for an earth on the brink of agricultural disaster. 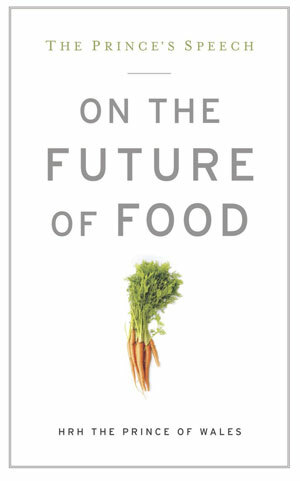 The Prince’s Speech: On the Future of Food is a special commemorative edition of Prince Charles’s speech that has been enhanced with an all-new foreword by Wendell Berry and afterword by Will Allen and Eric Schlosser.